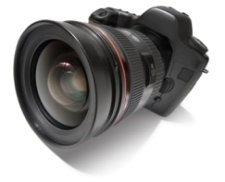 The quality of the photographs of homes for sale is important. 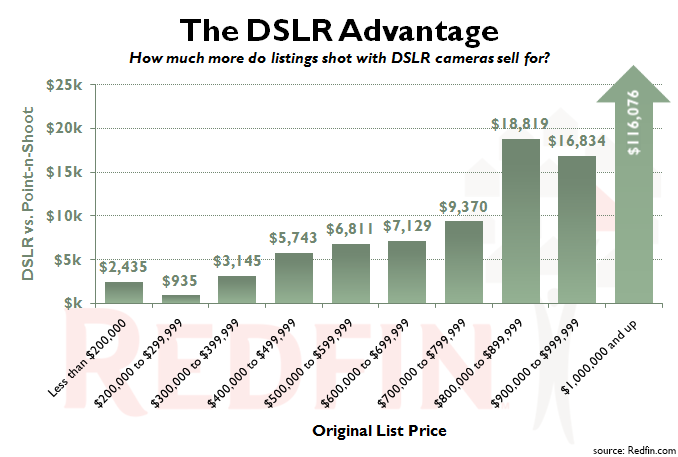 The study actually showed that sellers got more money for their homes if they were marketed with professional quality photography. I would stress, however, that I have seen quite a few otherwise very good agents use DSLR cameras in "point-n-shoot" mode and create some really poor photographs too. A camera is a tool and the tool is only as good as the skill level of the user that uses it. So it's not the fact that the photographers are using DLSR cameras, it's that they are producing professional quality photographs that cause these results. Like Redfin, every house that is listed by our team is marketed with professional photographs, and we pick up the tab, too. A picture truly is worth a thousand words – or far, far more!